Christian theology has had a lasting influence a range of modern subjects; a solid introduction to its tenets, traditions, and thinkers benefits students of all disciplines. Natalie Kertes Weaver's Christian Thought and Practice: A Primer provides a foundation for those new to the study of Christianity and the opportunity to develop a more sophisticated sense of Christianity for students with prior study. 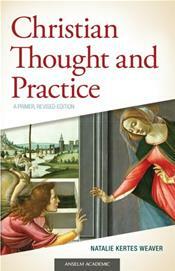 With features to enhance classroom learning, Christian Thought and Practice is ideally suited for today's student.